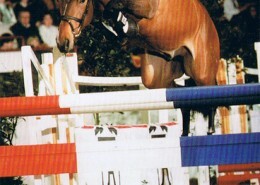 Quinar Z, a sensation over the fence. 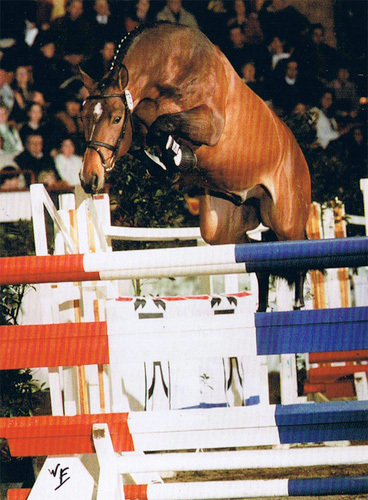 At the 1997 Holsteiner stallion selection, Quinar Z was the new sensation because of his phenomenal performance in the free jumping. 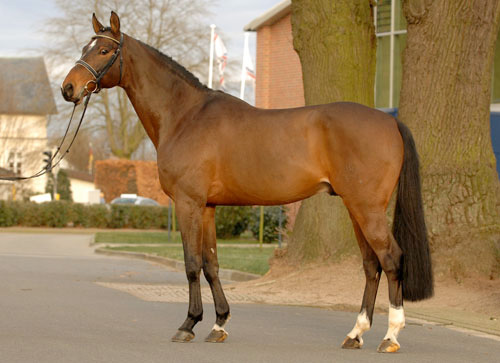 Like Quaprice Z, Quite Easy, Quantum and Verdi, Quinar Z is the result of the well-tested combination of Quidam de Revel with a Holsteinder mare. 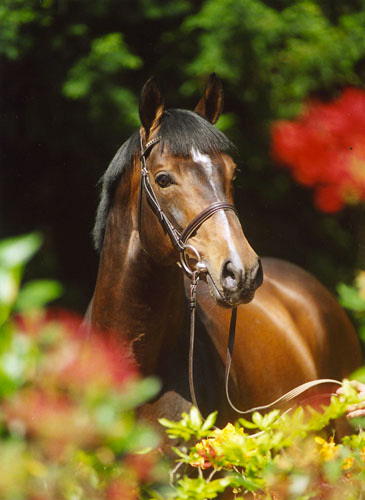 On his dam’s side Quinar Z again carries the valuable jumping blood of the legendary stallion Almé Z via his son Aloube Z. 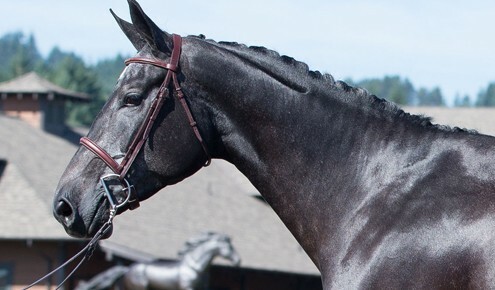 The dam’s line of Quinar Z further adds the sport blood of Calypso I and goes back directly to a full sister of the well-known Holsteiner stallions Mahdi I and II from lineage 1020. 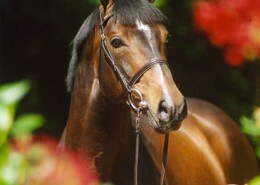 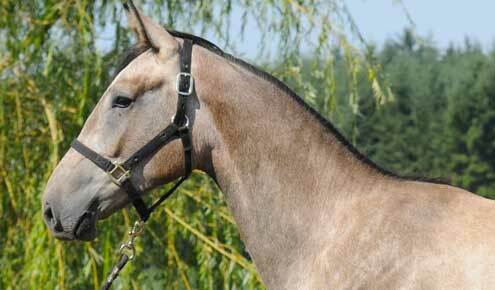 At the 2003 Holsteiner stallion selection, six of his sons were sold for the astronomical amount of 665,000 euro. 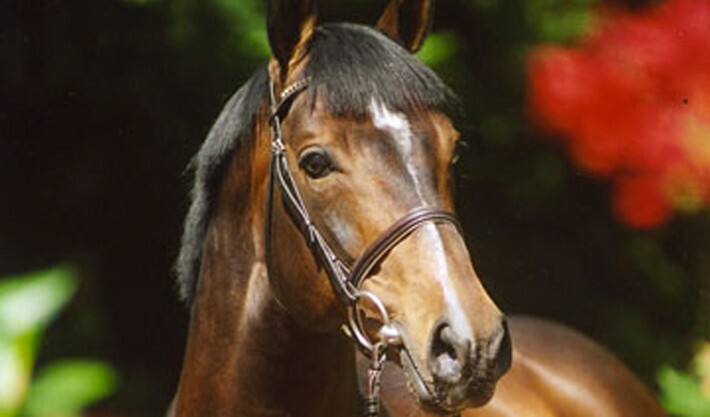 Quinar has produced the familiar names – Quadrigo (Lars Bak Andersen), Queensland (Beat Mändli), Quintender (Henrik Gundersen), Quinara (Leopold van Asten) and Quick Nick (Jonella Ligresti).